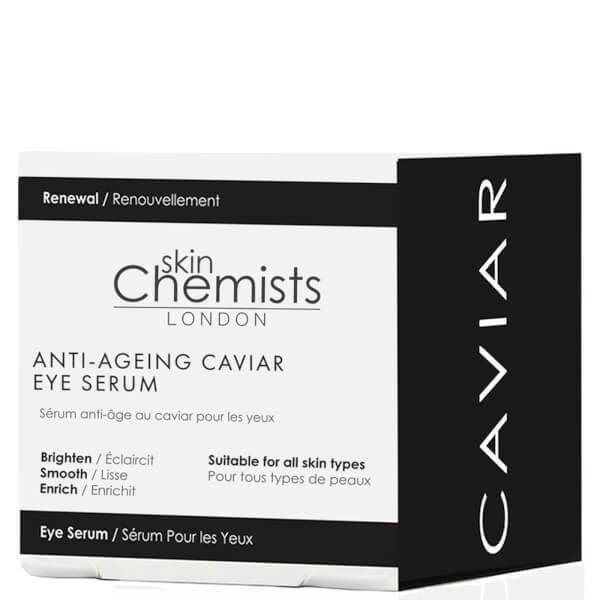 Revive the look of tired, weary eyes with skinChemists London Anti-Ageing Caviar Eye Serum, a renewing eye treatment that targets signs of ageing and fatigue around the delicate eye area. Helping to brighten, smoothen and mattify skin around the eyes, the serum contains vitamin and mineral-rich Caviar (a nutritious marine extract) to nourish, balance and improve firmness. 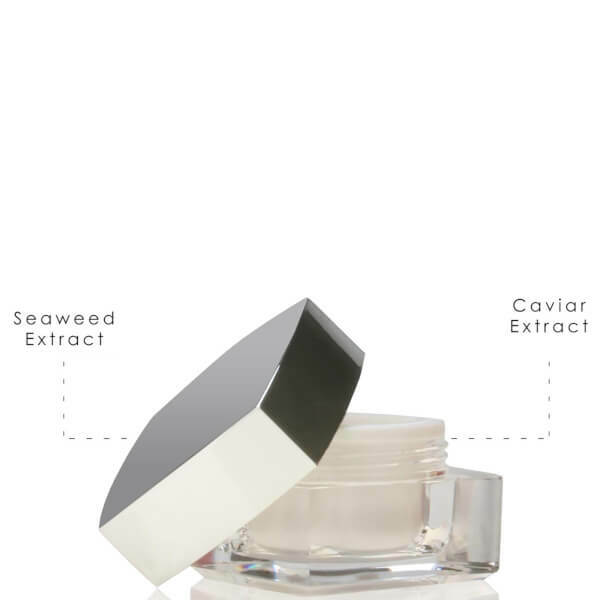 It plumps skin with moisture to help diminish the look of fine lines and wrinkles, and utilises antioxidants and Seaweed extract to protect and nourish. 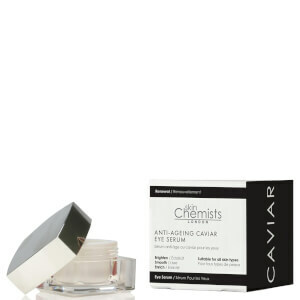 Locking in moisture, the eye serum will leave ageing peepers looking smoother, brighter and more youthful. 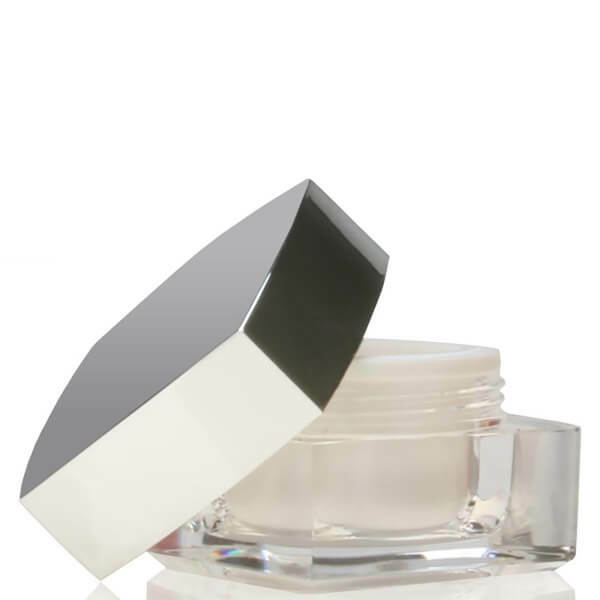 Apply in the morning and evening onto clean, dry skin around the eye area. Use the ring finger for the lightest pressure. Aqua (Water), Triethanolamine, Carbomer, Glycerin, Alcohol, Allantoin, PEG-7 Glyceryl Cocoate, Phenoxyethanol, Disodium EDTA, Dehydroacetic Acid, Ethylhexylglycerin, Parfum (Fragrance), Benzyl Salicylate, Hydrolyzed Actin, Caprylyl Glycol, Hexyl Cinnamal, Aloe Barbadensis Leaf Extract, Hydrolyzed Caviar Extract, Hydrolyzed Roe, Limonene, Acetyl Hexapeptide-8, Fucus Vesiculosus (Bladderwrack) Extract, Propylene Glycol.